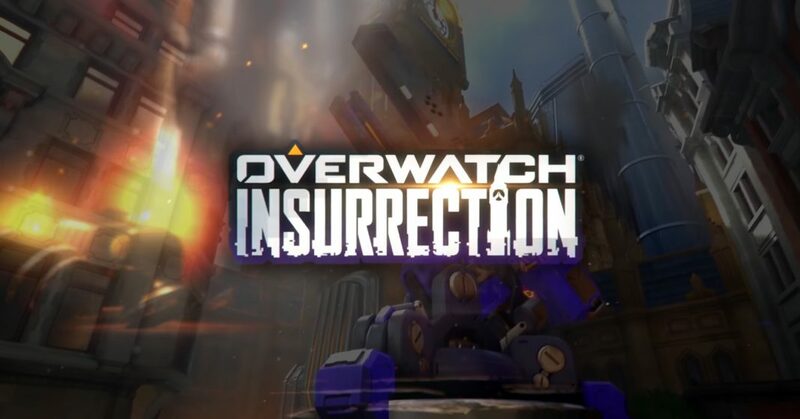 A teaser trailer for the next Overwatch event was leaked over Sony’s PlayStation Network yesterday, and the video included a start date for the in-game event (April 11th) as well as announced the flashy title: Overwatch: Insurrection. 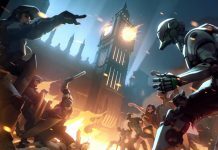 The teaser is all in French, but I don’t think we’ll need to brush up on our high school language courses to get the gist of what’s going down in King’s Row. As predicted, we’re going to see seven brand spanking new skins. Four sweet Overwatch cadet uniforms for Tracer, Reinhardt, Torbjorn, and Mercy. We also see some badass Blackwatch skins for Genji and McCree, and one for a pre-purpled Widowmaker. In addition to all these fancy new cosmetics, there’s over 100 new collectibles for players to be disappointed about. 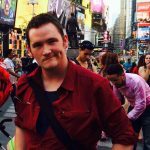 It’s time to start grinding out those loot boxes, friend. We’re also witnessing what looks like a PvE horde mode beyond anything we’ve seen in Overwatch to date, and the event will likely dwarf Junkenstein’s Revenge in terms of sheer content. Looks like Null Sector has more in store for us than just reskinned Bastion units. We’re also dealing with agile bipod bots as well as mobile barrier units. We can see drop pods delivering all manner of bot and beast for our heroes to scrap. At the very end of the video, we also get a glimpse of what might be a boss encounter: Null Sector’s own heavy duty OR-15, likely a beefed up, reskinned Orisa. The trailer also features massive quadrupedal anti-aircraft guns. I can’t imagine we’ll be leaving those standing during our mission, so we might be seeing the first destructible objectives in Overwatch history. It’s a development that could open the door for entirely new map types later on down the road–imagine a map where instead of trying to capture an area, attackers have to destroy an objective. Players would be forced to choose between focusing their team’s firepower on damaging the objective or wiping out the defenders. We won’t know for sure until tomorrow! Or today. Depending on where you live. Lucio’s Rework: Pumped Volume or Dropped Bass?